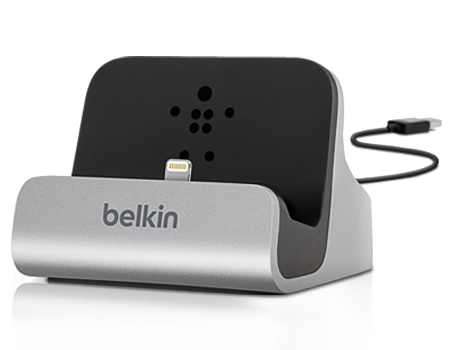 Charge and sync your iPhone 5 or iPod touch (5th generation) with the compact and stylish Belkin Charge & Sync Dock. Charge and sync your iPhone 5 or iPod touch (5th generation) with the compact and stylish Belkin Charge & Sync Dock. It has a built-in Lightning™ connector so you can dock your iPhone 5 and iPod touch (5th generation) to charge and sync, hands-free.